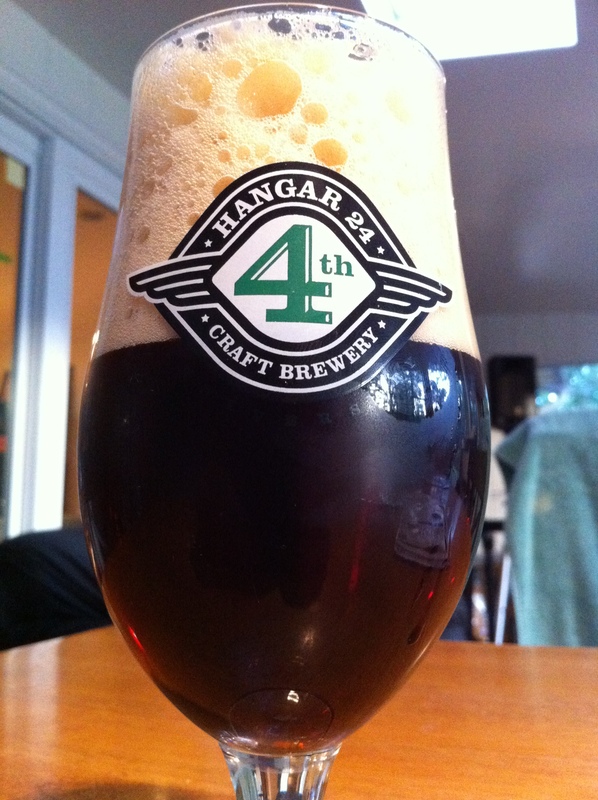 Our 4th Anniversary beer is a special, “doubled” version of the Alt-Bier. We blended in a portion of Pugachev’s Cobra that has been ageing in rye barrels for over 16 months to make this a special beer for a special occasion. You’ll experience a caramel and roasty flavor with a spicy oak finish, and a rich malt aroma with hints of fruit esters and alcohol notes. I was very intrigued to try this beer after having had their Pugachev’s Cobra earlier in the day (4th Anniversary was a blend of their standard Altbier with 10% Cobra added) so we cracked the growler when we got home that night. The beer poured a dark auburn color with ruby highlights. A couple fingers worth of fluffy cola-colored foam floated atop the beer. Lacing was everywhere by the time the glass was finished. The nose was malty, with a smell that reminded me of Carnation Instant Breakfast powder. Molasses and a touch of unsweetened chocolate were also detectable. The malted milk flavors came back in the taste with some off-brand chocolate standing alongside it. Faint oak and vanilla were present, which I attributed to the addition of the barrel-aged Cobra. This was a very easy drinking beer and one my roommate couldn’t get enough of. Mouthfeel was relatively light and smooth. There was a hard water texture that goes away rather quickly and doesn’t leave much aftertaste. This is a sessionable Altbier. There’s enough flavor there to make it worth your time, but not so big that you don’t want to drink more than one. I’d be fine with a little more flavor, but I’m not complaining too much.